Young Living has a quite a few essential oils that are great for deep cleaning. The best part is that they are natural and organic, making them safe to use in your home. The bonus upside? They smell wonderful! So you’re not assaulting your nose with chemical smells! 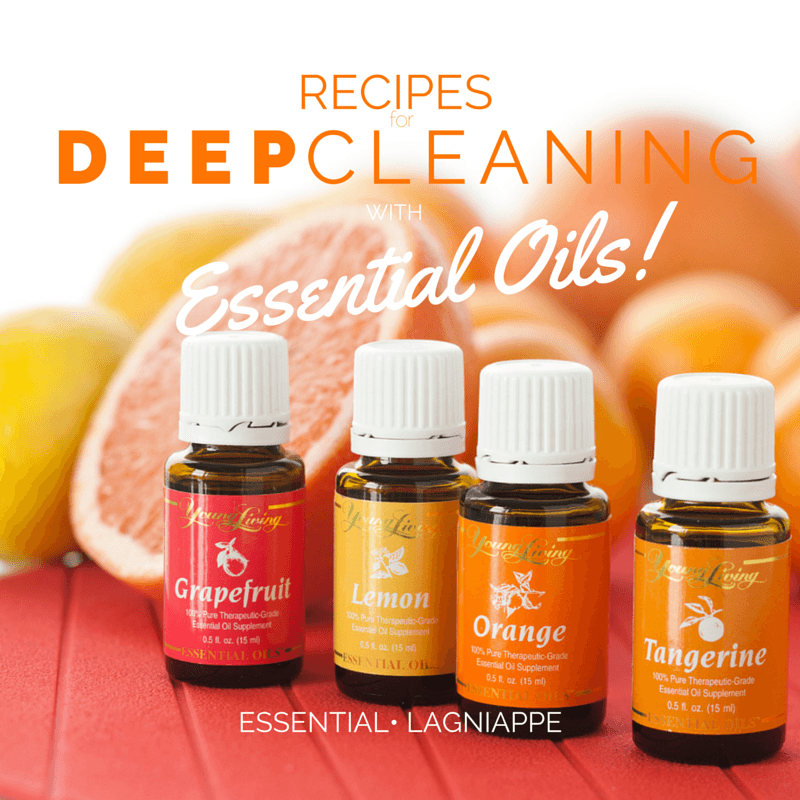 Try these deep cleaning essential oil recipes the next time you deep clean your home. They’re simple and easy, and I promise you’ll love how clean your home is and it will smell heavenly! Before you vacuum, sprinkle this essential oil carpet cleaner all over your carpet and let it sit for a couple minutes. Vacuum up like normal. It leaves a clean, refreshingly scent after it has gone to work to eliminate any bacteria in the carpet. If you have a troublesome stain, apply this mixture and let it soak in for at least 5 minutes. Don’t rub it in, but rather blot it up with a clean towel. Mix all of these ingredients together in a small spray bottle and then fill the rest up with water. This bathroom and kitchen cleaner is great to use to deep clean your kitchen counters, inside the fridge and stove, and all over the bathroom. Both the Lemon and Orange Essential Oils kill germs and cut through grease. The Tea Tree Oil also is a great antibacterial essential oil. Fill a large one gallon bucket up with water and then add in these ingredients. The Orange or Tangerine Essential Oils will help to eliminate any guck or goo on the floor. Those combined with the Tea Tree Oil will leave the floor clean and free of harmful bacteria. The washing machine needs to be cleaned at least monthly if not, once a quarter. Add Lemon, Grapefruit, and Tea Tree Oil to the wash cycle of an empty load. This will get rid of any mold or bacteria that might be in the washing machine. If your clothes are looking dull, add Lemon or Grapefruit Essential Oils to the wash cycle to brighten them up a bit. I love using Essential Oils when I’m cleaning my house and I almost always have a diffuser going in my office. There are a myriad of uses for oils and aromatherapy and learning more every day has been a joy, I’d love to share with you. In full disclosure I am a Young Living Essential Oils Distributor (# 1973007 ), I enjoy using and teaching others about the products and company. Knowledge is power when it comes to our homes and families! You’ll never be pressured to purchase from me, but I will always strive to educate and inform. 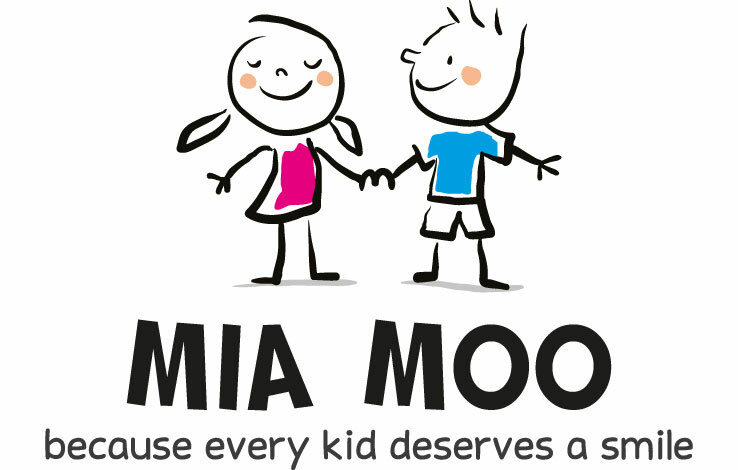 This post may contain links to the site with whom I am affiliated. If you’re not already a Young Living Member and you’d like to know more about Essential Oils and the Opportunities at Young Living, Contact me here and I’ll be right back in touch with you. I love essential oils and I have a diffuser going when I remember. I’ve never used it as a carpet fresherupper. A little baking soda, a little essential oil and you have your very own carpet fresh! Good stuff! Essential oils are actually in ALMOST every cleaning and household product you have used. Some products aren’t very friendly to the environment or to kids and pets when we use them. Making my own, seemed a logical choice for me, since we all have allergies gone mad. Thank you for these suggestions – especially the washing machine cleaner! We’re trying to get our house ready to sell and these little change will be a big help! your house will smell wonderful, but not like cleaner, just fresh and clean! Thanks for dropping by! The floor cleaner sounds great! We have wood floors all throughout our apartment and the cleaner I use right now in unscented – I need to try this! its wonderful stuff! for sure! I love my Essential Oils! I use them for everything! They are slowly replacing everyday products! We love them here too! I will tell you tho, I use the oils sparingly. A little goes a long way! It sounds like there are a LOT of uses for essential oils. I hadn’t heard of these uses for them, but I bet it smells wonderful! Yes there are so many uses for Essential Oils that go beyond the diffuser.. We’ll be posting more! These are some impressive tips. I’m going to have to give some of these a try. I love how much essential oils benefit those who use them. Thanks for comming by! We’ll be posting more uses and combos soon! I’m pretty new to essential oils, so I really appreciate knowing how much you can do with them. I can’t wait to try them for cleaning. If you want to know more Crystal, let me know, I’m happy to give you the low down! I didn’t know these were so useful. I know I wouldn’t mind having these delicious scents around! I just love the way my home smells, and I know its clean! Very interesting! I’m still learning about essential oils and no idea you could do so much with them. absolutely! I’ll be glad to help you if you need more info @Crystal! I did not know the cleaning uses for oils. I may try a few especially the carpet cleaners. the carpet freshener is awesome, and use your choice of oils! I love the citrus ones! less is always more when it comes to oils.. be judicious with your choices and a little goes a longgggg way!